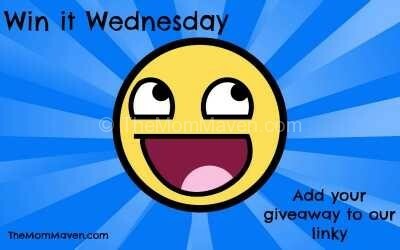 Happy Win it Wednesday Giveaway Linky Day!! I had an amazing time last week at the Children’s Pastor’s Conference in Orlando. I’m going to write an entire post about it so I won’t go into detail here. I will say, if you have an awesome Children’s ministry team at your church, tell them about the International Network of Children’s Ministers and their amazing conference. It is help each year in January in Orlando, FL. The dates for CPC20 are January 14-16, 2020. In short, I was cleansed, healed, inspired, and equipped. I hope you are staying warm where you are! I know it has been very cold throughout a lot of the country this week. Here in Florida we have been in the 50s and we just don’t know how to dress for that here in Florida. Do we wear socks with our flip flops? Leggings with our shorts? We just don’t own clothes that take us under 65°. I’m thankful for the cold though, I am not your typical Floridian, I hate the sun and the heat. I will layer up and survive our 2-3 weeks of winter because it will be in the 90s soon enough.